Meet Polk Audio's RC80i. 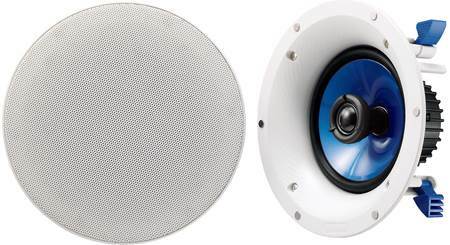 This value-packed pair of 8" in-ceiling speakers has been delighting our customers for years. And with good reason — not only do they sound fantastic, but they come with a lifetime warranty. Use them in your home theater for thrilling overhead surround sound. Or install a pair in any room where you want to enjoy music. "Fantastic speakers for the price!" 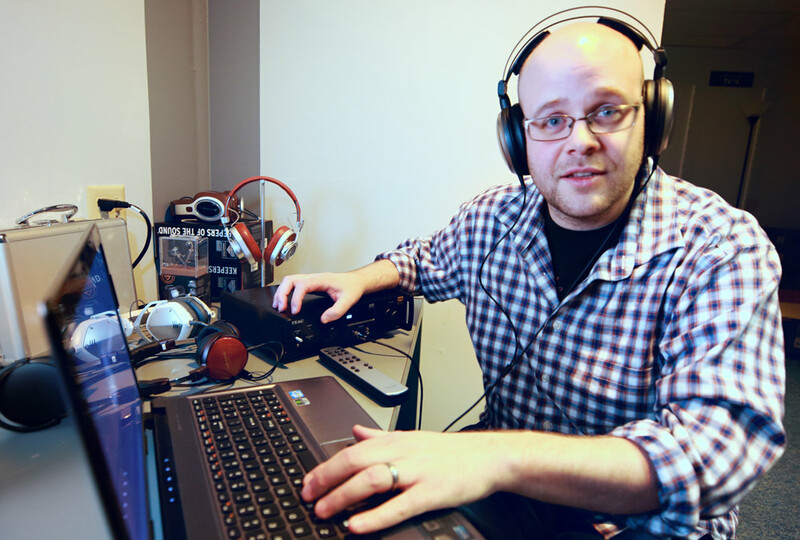 Planning a Dolby Atmos® or DTS:X® system? Use the RC80is for lifelike overhead sound effects. You'll love how sound moves up and down, instead of just side-to-side and front-to-back. These speakers are great options for the rear surround channels of your system, too. Putting speakers in the ceiling for music with minimal visual clutter? Each RC80i is equipped with a robust 8" woofer for solid bass. And a swiveling tweeter lets you direct sound towards for you for the best sound. Polk even uses moisture-resistant materials so you can install these in your bathroom, kitchen or covered porch with confidence. Polk's rotating-cam design makes your in-ceiling installation go smoother. Once you have the RC80is in place, simply use a screwdriver to tighten each cam for a secure grip against the back of the ceiling. I am using 4 of these Atmos. I couldn't be happier with purchase. When installing this in ceiling, can it be in contact with blown in insulation? The backside of the speaker will be exposed so you will want to keep any insulation off of the speaker. Woofers: Each speaker features an 8" Dynamic Balance, mineral-filled polypropylene woofer for clean midrange and deep, accurate bass. For a smoother response and improved durability, each woofer uses a rubber surround. 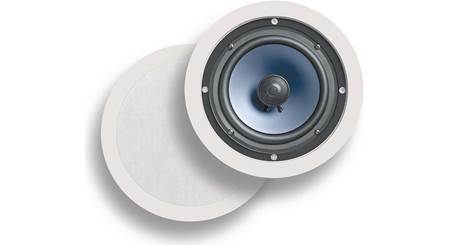 Tweeters: Each speaker uses a 1" Dynamic Balance, metalized soft dome tweeter in a ball-and-socket swivel mount. The aimable tweeters give you direct high-frequency control, resulting in excellent imaging even for off-axis listening positions. Installation: The round shape and flush-design allow the RC80i to mimic the look of a recessed lighting fixture. Each speaker requires a cutout of 9.375" and a mounting depth of 3.25". Each speaker frame has a diameter of 10.685". Once the holes are cut, each speaker can be dropped in and the Rotating Cams can be tightened, allowing you to secure each speaker to the drywall without any extra assembly (the Rotating Cams protrude out 0.625" from the cutout opening). 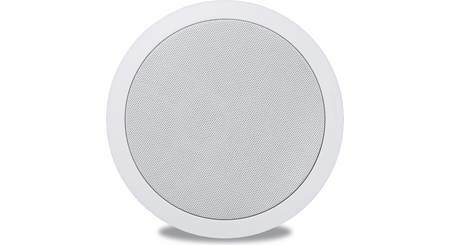 If you will not be mounting these speakers in drywall, make sure the wall or ceiling material can safely support the weight of the speakers before installation; each speaker weighs approximately 4.5 pounds. how do these compare with MC-80? What kind of enclosure were these speakers in when you tested them? Attic or box or what? They are ceiling mounted. Typical sheet rock/drywall materials. 12-foot ceiling height. Used the Crutchfield foam baffles to keep the attic insulation from falling into the backs of the cones. Been enjoying them for over a year now. Still solid performers. I mounted all these speakers in ceiling between my second and 1st floor. So the enclosure in the 18in between the floor joist. I can tell you these are great speakers with excellent full sound and range. When you push them they bump pretty hard. Install tip do not over tighten them. which amplifier do i need to get if im using polk rc80i speakers? I am putting 6 of these throughout a large open basement. In between rafters. My question is that I think they are made to have an open back (no box), should I put roll insulation on sides / top of them to help reduce sound heard upstairs? We have four of them between rafters in our outdoor porch. They can kick out some noise so would recommend some form of insulation. We have used roxual insulation in other parts of our house that works well to dampen noise but to be honest we didn't for the speakers because they were outdoors. I would definitely put a backer on it. While upstairs I can hear what is being played downstairs.Enter an answer to this question. I had extra insulation from finishing our basement so I did this and it seems to help. Do they come with a template for the cut out hole or will I have to perform my own sloppy measurements? Each speaker will have a cut out template with it as will as a protect screen shield to paint the ring if you wish. Can an in-ceiling mounted RC80i speaker withstand the steam of an enclosed shower? I have mine located in a small bathroom about 2 feet away from the shower that gets little beads of water from the steam and 3 years later it's still working. Excellent quality speakers for the money. Recently purchased Onkyo TX-RZ810 which is rated at Watts per. Are these the right speakers for ceiling 7.2 surround set up? It says they are only rated at 100 watts. Thanks for your question. For information on selecting the best speaker(s) to go with your Onkyo receiver, I would recommend reaching out to an Advisor directly by phone (1-800-324-9695) or online chat. They can offer more personalized advice to ensure you're getting the best performance and quality. What is the weight of each RCi80 speaker? Thanks for your question. Each speaker weighs approximately 4.5 pounds. Hope that helps. Bought 4 Polk Audio rc80i Ceiling Speakers from Crutchfield ... Do all the speaker wire lengths have to be the same distance ? or can 1 be at 10 ft / 15ft / 20 ft / 25 ft ? thanks !! Think not, input travels at the speed of light to the speaker. Should be ok unless speakers are in different solar systems. How many speakers do I need to buy to cover 30ft x 100ft area with 10.5ft ceiling? I'm happy to help. I bought 4 Spks 2 years ago. Working very good at 30x50 ft. 10 ft ceiling. I think you should get 8 Spks. Installing 2 rows. Sound very good. You can get 6 Spks then you can turn volum up more. I hope this can help you. Do these ceiling speakers work well with the csi a6 center channel speaker? I forwarded your question to an Advisor and they responded with the following: These speakers are not a perfect voice match to the CSiA6 center channel speaker. 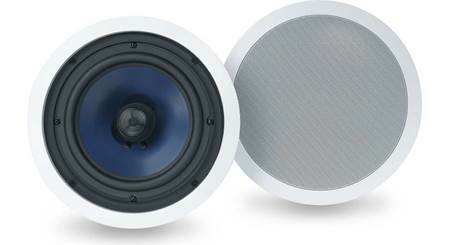 The Polk in-ceiling RT series speakers are a match for your center channel speaker. If you would like to discuss further you can contact an Advisor directly by phone (1-800-324-9695) or online chat. Can you install these with a drop ceiling? I would think the weight of any speaker would pull through a ceiling tile. I think I'd look into using speaker brackets and wiring those up to something that can support the weight. Then there would be a plastic ring just on the other side of the ceiling tile to mount to. Yes, not an issue. I have them in my basement with suspended ceiling (drop ceiling). They sound absolutely amazing with crisp sound. I couldn't be happier with this set of speakers. Do they come with pre construction brackets included? They DO NOT. I really didn't need them. They come with a template to cut your hole. Once you have done this you and have wired then you push the speaker up into the ceiling. The hole is smaller than the flange. You then turn 4 tabs with a screw driver from below and tighten. Slip on the metal grill cover and you are good to go. If by chance you are mounting outside on an overhang I would suggest you spray paint the grill and flange with a good out door paint to match. I had a previous pair that rusted. I did this as a prevention on the replacements. Hope this helps. They really are good speakers and fairly priced. No, you need to purchase the pre construction brackets separately. I replaced Bic Speakers with the Polk. They are exactly the same. Probably both made at the same place in China. Who knows? Anyway, I still have the Bics and I just measured them. They were an exact match so my cut out was the same and perfect. 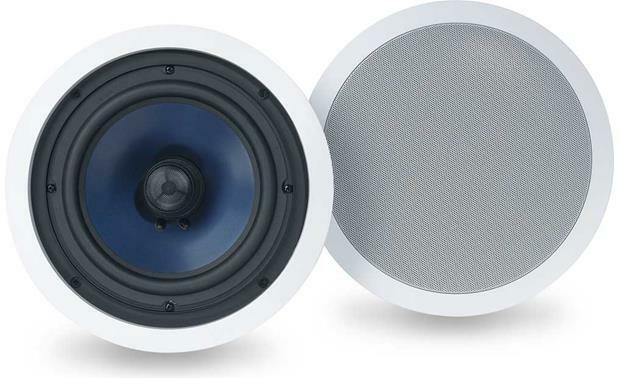 The diameter of the white ring around the speaker is 10 and 3.4ths inches and the diameter of the slip in grill that covers the speaker is 9 and 1/8 inch. Hope this helps. By the way, I am using these outside at house overhang near swimming pool. Using a Onkyo AV Receiver about 120 watts. Works fine. Think my cut out was 9.5 inchs. O/D of the grill is 10.5". Never replace an inwall with a smaller one. You may get vibration or distortion from air pass through. It way better to buy a speaker with a slightly larger diameter even though you may have to enlarge the hole. The weight of the speaker can cause sag issues with the ceiling tile, but they make brackets that span 24" (typical ceiling tile dimension that support the weight across the span from metal track to metal track. Let me explain better, the "bracket" is a flat metal plate with a hole that will allow the speaker to slip thru while holding the speakersecurely in place. To see what the brackets look like search " drop ceiling speaker bracket" under any search engine and it should show images. Looking at getting these for my 5.1 surround sound. If I buy two pairs for the front and rears, what should I buy for the center channel? I am looking at installing them all on the ceiling. I forwarded your question to an Advisor and they responded with the following: The Polk RC series speakers do not voice match any other series. You should get another RC80i to use for the center channel speaker. If you would like to discuss further you can contact an Advisor directly by phone (1-800-324-9695) or online chat. Can these speakers be used outside in a porch ceiling? They are indoor speakers, but it shouldn't be a problem being under a covered porch. Only make sure the porch roof has no moisture coming through. Enjoy! We put them in a little over a year ago in boxed in eaves on our back deck that is exposed to some pretty severe weather conditions here in central Oregon. We get both below freezing temps during the winter and above 90 in the summer and they have performed well and sound great! No problems. Yes as long as not heavy moisture. I put them in my bathroom ceiling so they can handle some moisture. Nice speakers too by the way. I have used these speakers in my basement. However, as per product specifications it is constructed of durable, moisture-resistant materials for use in bathrooms, saunas, or under outdoor eaves. Yes that's where mine are. And awesome! The speakers do not need to be installed as pairs as there is no left or right speaker. Having said that, I'm assuming that you will be using a monaural signal, otherwise the sound will be off. I used this pair in my kitchen ceiling, but found that I needed to supplement the bass with a subwoofer to get the deep sound that I wanted. 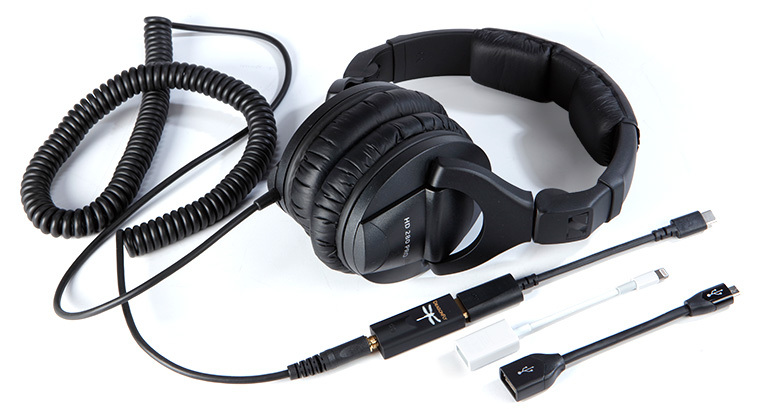 The treble and midrange is excellent, for an overall sound that is good. If you want deep bass without adding a subwoofer, you may want to chose a different speaker. You could do just one speaker per room but you'll lose the "stereo" effect. So, if the vocal is coming out of the left speaker because of the way the music was recorded, then you won't hear it in the room with the right speaker (unless you can tell your receiver to send "mono" or one signal carrying both the left and right signals). Most of the time what you're looking to do will sound ok, but with music and movies it's unlikely to be great. We bought the rc80i by mistake - they do need to be put up in pairs. We intended to get and did get the MC80 which are individual speakers which sound great on their own. I would recommend them. No they can be set up as one. But of course it would sound way better as pairs. Good luck mine sound amazing. How thick of a wallboard material can these mount to? For example, can I mount them in 3/4" wood instead of standard 1/2" drywall? I mounted mine in 5/8 drywall, I am sure they would work in 3/4. Yes. As the previous reviewer answered, there are 4 long mounting screws that use a rotating cam to pull the speaker to the wall/ceiling. I used these speakers on 5/8 inch drywall. 3/4 inch should be no problem. Yes, the screw mounts are adjustable. My house came wired for a 6.2 system. I purchased a Onkyo 6.2 receiver and a Onkyo center front channel speaker. I'm looking for the five speakers in my ceiling will the Polk RC 80i work good for them? I'm not a sound freak I just want a good movie watching experience. I forwarded your question to an Advisor and they responded with the following: I think that would be a great addition to your home! A lot of our customers use those speakers for that application. If you would like to discuss further you can contact an Advisor directly by phone (1-800-324-9695) or online chat. we also have blown in insulation and what we did is cleared the insulation away and put a little plywood box over the area just to make it safe but it doesn't seem like it would hurt to have the insulation on speaker. My install was in new construction. I put 2x4s on either side of the speaker from rafter to rafter and then screwed a piece of plywood over the top before blowing in insulation. I was a little worried about the insulation packing down inside the speaker and affecting the performance. Yes. I haven't noticed anything abnormal with sound quality. This is a very good speaker for the money! Hmm. Crutchfield sent this to me, but it should be answered by the manufacturer. I would think that, since speakers move, they shouldn't have blown in insulation surrounding them. Could I use 16 gauge wire with these or would I need 14? EIther would work, really more about the distance from the stereo not the size of the speaker. Depends on the length of the cable. We are using 16 to cover about 20 foot lengths. Beyond that, I would use 14. I believe I used 16 ga in wall rated. I will double ck when I get home from work today. I'm pretty sure I have 16 gauge wire for all of my speakers. Works just fine. I used 16 gauge and they sound great! yes you can use 16 gauge wire but if you are running long distance then you better off using 14 gauge. According to the crutchfield website, if you're less than 50' you can use 16 gauge wire unless you have high end equipment and want to improve sound. Yes. The lower the gauge the better (generally), but 16 gauge should work perfectly unless you're running it further than 25 feet. Searches related to the Polk Audio RC80i In-ceiling speakers.